Aim to boost flock performance by optimizing lambing percentage and subsequent rearing percentage, whilst improving feed efficiency. Ensure ewes are in good body condition (3.0 -3.5) at tupping. 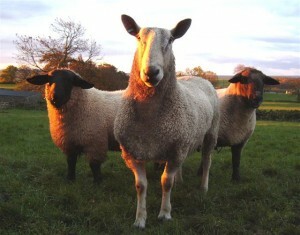 Flush ewes by providing a rising plane of nutrition from 2 weeks pre-tupping until 3 weeks post-tupping. Ensure vitamin and mineral supplementation of both ewes and tups taking particular attention to zinc, iodine, cobalt and selenium.